Over a 100 years of history makes Trussardi one of the most timeless brands. From a small glove factory set in Bergamo, to the unmistakable Trussardi label that it is today, this iconic brand has come a long way. Today Trussardi is a brand that defines elegance, luxury and lifestyle. The story of the brand is worth telling. The world first heard the name Trussardi in 1911, on elegant, luxurious gloves produced by Dante Trussardi. The brand, from the very start has been synonyms with refined quality and traditional elegance, the Italian brand was appreciated among the elite, so much that Trussardi soon became the official supplier of the English royalty. The era between 60s and 70s witnessed some major social revolutions, and Italy was evidently the center of it. During this vulnerable period, where the market saw major changes, Nicola Trussardi, took over the helm of the legacy. Nicola was able to transform the brand into an industrial group, paving its way to rule the fashion world. 1973 was the turning point marked by the greyhound, that resembled agility and dynamism. The hound was adopted to identify all the products of this Italian fashion house, which soon became the icon of Trussardi. With the label defined, Trussardi began producing bags, suitcases and small leather goods. With the help of an expert technical staff they studied new and sophisticated procedures for treating and refining leather. Taking advantage of the developments in tannery much softer leather was used for many items, softer and more supple than the traditional skins used. The first Trussardi shop was opened in 1976 in Via Sant’ Andrea, Milan, the network of the Italian brand has expanded to a worldwide scale. The Trussardi group now counts over 400 boutiques. You can now see the brand spread in every corner of the globe. From Milan to Rome to Paris to Moscow, it is everywhere. From arts to music, from sports, to cinema, the Italian label appears in every field of international culture. The greyhound is a universally recognized trademark, known for the style, elegance and Italian fashion tradition. Making a statement by what they wear. The selection of fabrics and materials is unparalleled, characterised by uncompromising quality and peerless expertise that makes every item perfect. Trussardi 1911 garments and accessories are available at the world’s most prestigious multibrand stores, in addition to the four Trussardi 1911 boutiques. Trussardi 1911 is a comprehensive brand, in constant development, that includes a city bike, pet accessories, perfumes, candles, and eyewear. The Tru Trussardi brand was founded in 2005; its collections blend Trussardi quality and style with the practicality of clothing designed for the city. Distributed through a network of shops around the world, Tru Trussardi is an urban clothing concept that meets the needs of a new generation of men and women, through its simplicity, elegance, and constant quest for quality. In 2010 Tru Trussardi presents the first Urban Ideas collection reinventing clothing and accessories dedicated to moving around town. The collection is conceived with technologies and materials bearing in mind comfort and safety, with a look that writes a new page in city lifestyle. The Trussardi Jeans label expresses the more informal side of Trussardi fashion, animating leisure time to the beat of a cheerful, carefree background soundtrack. Denim and other high-quality fabrics, bold shapes and colours are the hallmarks of the TJ collections. 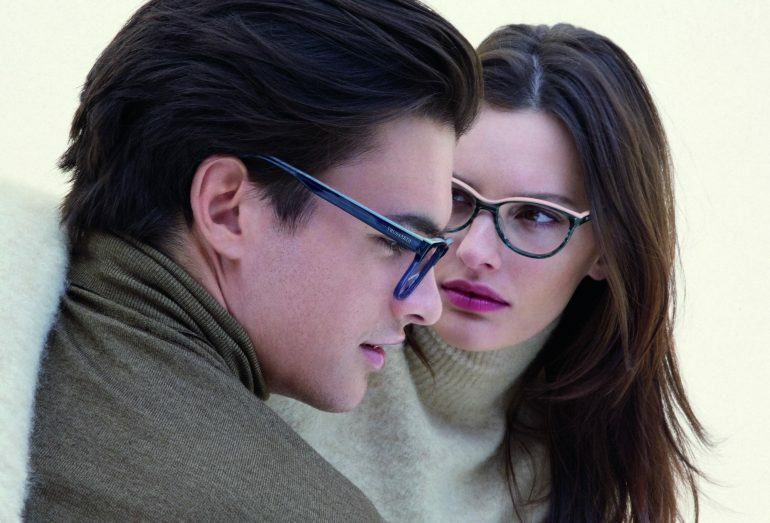 After establishing several benchmarks in the world of fashion, Trussardi paved its way in the field of eyewear in 1998. That year, Trussardi launched a new eyewear line, with both prescription and sunglasses, in addition to a line of timepieces. The brand value for the eyewear has been effortless elegance, timeless design, glamour and contemporary look. With their SUN19 collection, Trussardi confirm yet again their timeless elegance through tiny, precise details that make every style more precious. 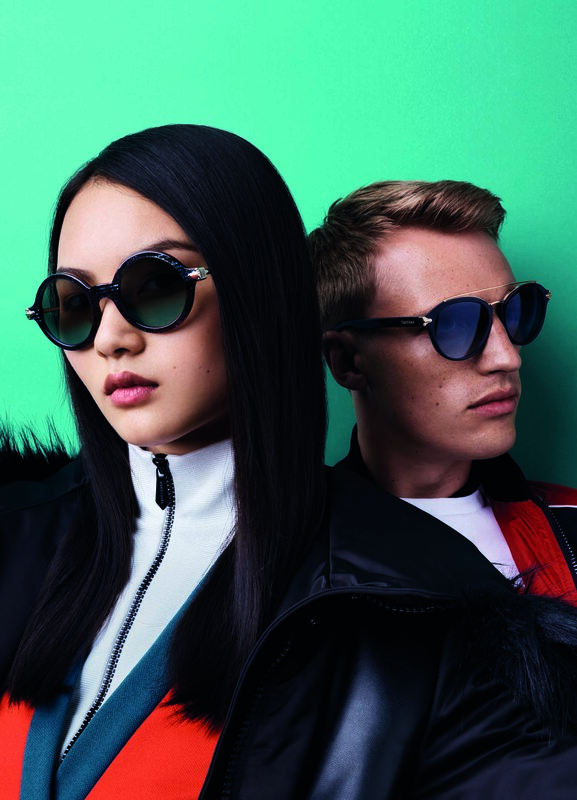 The various acetate variants – Cocchino or the exclusive Mazzucchelli acetates – combine with the use of new materials such as titanium, to produce an urban, cosmopolitan collection that is always tightly connected to the world of the Italian lifestyle brand. Levriero greyhound symbol is inside an oval on the temples. camouflage versions. Combined acetate and metal temples. metal profile. The temple tips are acetate. or mirrored lenses. The tubular temples are made of metal with acetate temple tips. Prescription glasses characterised by the combination of 4 different acetates. The Levriero greyhound symbol is inside an oval on the temples. 1911: The Dante Trussardi glove factory opens in Bergamo. 1965: Nicola Trussardi takes over the family business and begins the process of modernising Trussardi Group. 1973: The Greyhound is born: for the first time, a fashion company is identified with a logo. The greyhound is a symbol of agility, elegance, and speed. 1978: The Inside Collection is born: a precious series of table and pocket objects in briarwood an silver. 1981: The Trussardi bicycle makes its debut: an innovative and elegant means of transportation. 1982: Trussardi Group works with Garelli to create the VIP and Noi motorbikes. with Mini, it designs a Leyland model accessorised with leather bags and refined details. 1985: Trussardi restyles the Alfa Romeo 90. 1988: The Trussardi Telephone makes its debut and wins the Smau Prize for innovation. 1992: The I Levrieri [The Greyhounds] porcelain tableware collection is born. 2001: The Trussardi helmet makes its debut: elegance at the service of speed. 2005: Trussardi presents the O’Chair at the Milan Furniture Show. 2007: Trussardi presents an exhibit of British designer Paul Cocksedge at the Milan Furniture Show. 2009: The first Trussardi 1911 Furniture Collection makes its debut at the Milan Furniture Show. 2011: Trussardi presents the 100 Collection by Michael Young. 2011: Trussardi launches the BMW 5 Series Gran Turismo Trussardi.